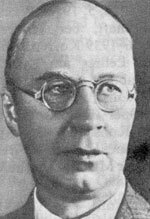 Humanity will forever benefit from Prokofiev’s diligence in leaving a body of work that belies the pejorative “modern music,” which drives many listeners or audiophiles scurrying for the assumed comfort of their Bach or Salieri. From the homage-like “Classical” Symphony to his final ballet, Stone Flower, Prokofiev lived up to and often surpassed his melodic goals while simultaneously looking forward to new terrain and respecting what came before. How fitting it was to devote an entire program to this Russian master in commemoration of the half century since his passing. An entirely persuasive reading of the 1934 Overture on Hebrew Themes began the tribute and featured the fine artistry of clarinetist Julian Milkis. His caramel tone soared easily to the rafters of St. Mark’s Anglican Church, suffering only from a slight fuzziness in the throat register. The string quartet and pianist Nina Kogan responded with verve and care to Milkis’ body language and saucy interventions with his sympathetic colleagues. Without doubt, the highlight of the concert was the engaging and thoughtful performance of the Sonata for Violin and Piano, performed by the husband-and-wife duo of Oleh Krysa, violin and Tatiana Tchekina, piano. The opening movement’s haunting unison will lodge happily in memory for a long time. Krysa sailed through the devilishly complex Allegro brusco with unerring confidence and more power than the north-east North American grid. The Nachtmusik—like “Andante”—yielded an impressive array of lines and colours. Tchekina never lost the thread but a more sympathetic instrument, allowing pure upper-register ring, would have been welcome. The Finale took off like a shot, skirting with ensemble disaster, yet never lost its direction. ; Krysa’s well-fed pizzicato should be a model for the students in attendance. The total conviction and unity of purpose was lapped up greedily by the enthusiastic audience that aptly demonstrated their delight. Following intermission the incredible standards of the first works couldn’t be maintained. The “Four Pieces” from Cinderella (once more delivered by Krysa and Tchekina) were remarkable for a surprisingly heavy-handed “Gavotte” and a lively “Mazurka” whose overly-generous affectation would have frustrated any on the dance floor. The seldom-heard Sonata for Two Violins was the surprising finish. Linda Rose stood with Krysa, but couldn’t match his style or sensitivity. In a hectic summer season, there are—inevitably—a few works that fall short of the high standards that are the norm for Niagara International Chamber Music Festival.